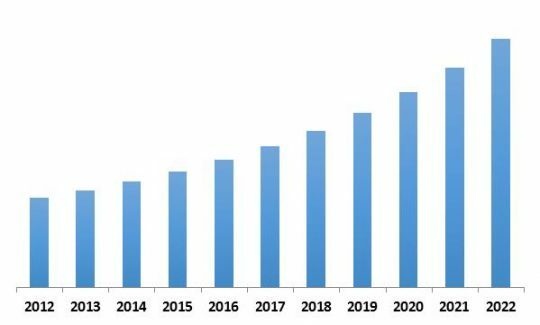 According to a new report Europe Unified Threat Management Market, the market is expected to attain a market size of $1.6 billion by 2022, growing at a CAGR of 11.0% during the forecast period. The benefits of Unified Threat Management Solutions are ease of deployment, added simplicity, trouble shooting ease, reduced complexity and better performance. Presently, UTM centralized consoles are used across multiple branch offices of larger organizations, providing security for an entire infrastructure, eliminating the need to maintain each site or gateways separately, thereby reducing administrative costs and errors. Increasing incidences of data breaches need for regulatory adherences, supporting advanced technologies and value propositions for organizations are few of the key factors driving the demand for UTM solutions. In 2015, Appliances segment dominated the European Unified Threat Management market by solution type. Appliances market is further divided into hardware, software and virtual appliances segment. With market share of around 60% of Europe Unified threat Management appliances market, hardware segment dominated the market in 2015. In Europe, Germany dominated the European Unified Threat Management Market. The Country has registered revenue of $ 219.7 million in 2015. 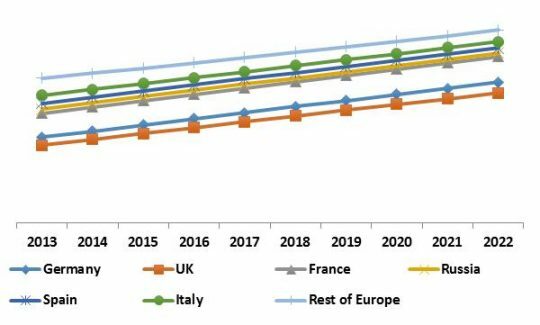 Italy would witness highest CAGR of 12.9% during the forecast period (2016-2022). The Organization Size discussed is small offices & home offices, small & medium sized enterprises and large enterprises. In 2015, Large Enterprises holds market share of around 55% of overall Europe market and hence, dominated the Europe Unified Threat Management Market by Organization Size. Based on verticals, the Europe Unified Threat Management market is segmented into government & Utilities, BFSI, Retail, IT & Telecom, Healthcare, Manufacturing, Education and others. In 2015, BFSI segment dominated the Europe Unified Threat Management market. 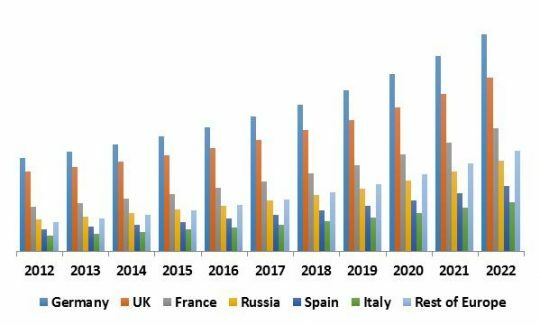 The report has exhaustive quantitative insights providing a clear picture of the market potential in various segments across the countries in each Europe region. The key influencing factors of the Europe Unified Threat Management market have been discussed in the report along with the elaborated company profiles namely Check Point Software Technologies, IBM Corporation, Cisco Systems, Inc., HP Enterprise Company, Fortinet Inc., Dell Inc. (SonicWall Inc.), Sophos Plc. and Barracuda Networks, Inc.